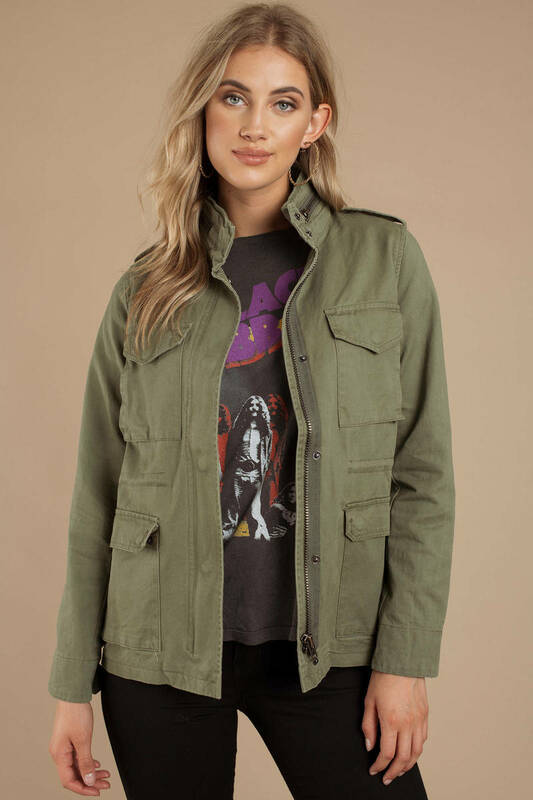 Check out Tobi's Battle Cry Utility Jacket Add the Battle Cry Olive Utility Jacket to your outerwear collection ASAP. This army jacket features button closures at the collar, four pockets in the front, and a durable zipper. 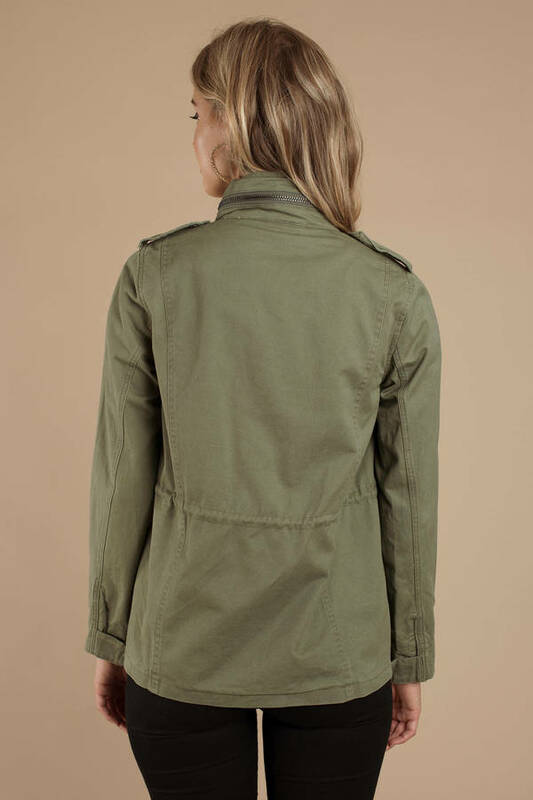 This cool utilitarian jacket matches perfectly with skinny jeans, scarf, and booties! Add the Battle Cry Olive Utility Jacket to your outerwear collection ASAP. This army jacket features button closures at the collar, four pockets in the front, and a durable zipper. 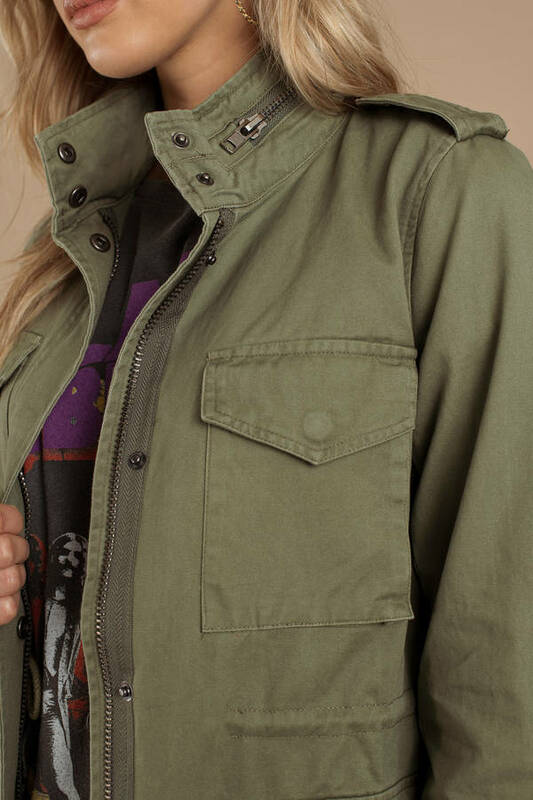 This cool utilitarian jacket matches perfectly with skinny jeans, scarf, and booties!